Discussion in 'Education' started by abhi, Aug 4, 2015. Municipal Administration Minister P. Narayana along with AP-CRDA Commissioner Ch. Sridhar visited the campus sites of VIT University and SRM University which are under construction at Inavolu and Neerukonda respectively in the capital region of Amaravati. Speaking on the occasion, Mr. Narayana said the works are going on at a fast pace and classes would begin from coming academic year — from July 19 at VIT and SRM from August 7. He said that apart from these universities, the government is trying to bring in international institutions to the capital before 2018 in order to make Amaravati an economic growth engine of the State. SRM University pro vice-chancellor Prof. D. Narayana Rao said that they aim to make four satellites, Jal Janak Rail and set up the Blue Economic Centre in the campus in next two years. 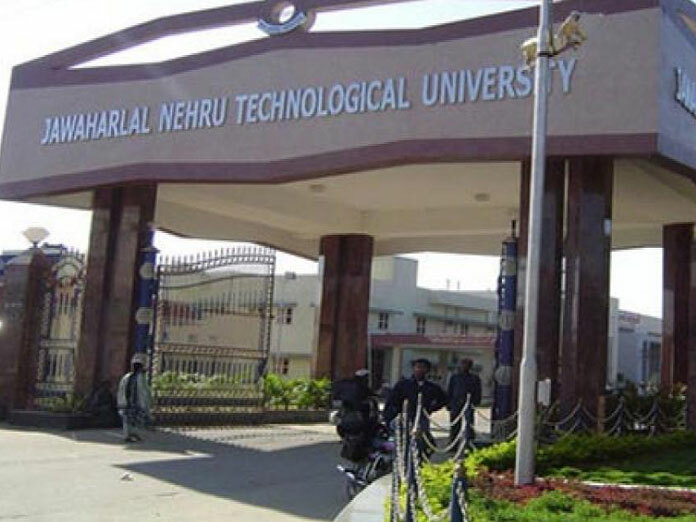 Rajamahendravaram: Andhra Pradesh State Council for Higher Education (APSCHE) is initiating steps to establish Jawaharlal Nehru Technological University (JNTU) at Amaravati by reducing the purview of JNTU-Kakinada, for which the government also accorded its nod. he three districts Prakasam, Guntur and Krishna, are presently under the control of JNTUK, which will be shifted to the control of the proposed JNTU in Amaravati. The other districts such as East Godavari, West Godavari, Visakhapatnam, Vizianagaram and Srikakulam will remain with JNTUK.At present JNTUK is having 272 affiliated engineering colleges in the eight districts and of them,90 engineering colleges will go to the control of the proposed JNTU in Amaravati. A committee which was headed by RGUKT (Rajiv Gandhi University of Knowledge Technology) Vice-Chancellor professor V Ramachandraraju along with members Professor H Sudarsan Rao of JNTU-Anantapur, Professor V Prasad Raju of JNTUK, Professor B Rangaiah and Professor MV Narasimha Sarma of Nagarjuna University held a meeting at Guntur on January 11th and discussed about the division of JNTUK and submitted a report to the State government.